The following terms (the “Agreement”) shall be effective upon execution of the purchase process by you (“Customer” or “You”). WEDDING PURCHASE Your Agreement with Gulf Beach Weddings LLC (together with its vendors, “Gulf Beach Weddings”) will last for the term (the “Term”) specified for your upcoming wedding. GULF BEACH WEDDINGS NETWORK The Gulf Beach Weddings Vendor list is continually evolving. There is no guaranty that during the Initial Term or any Renewal Term any third-party partners that belong to the Gulf Beach Weddings Network will remain the same. Partners may be added or removed at any time without notice to Customer. 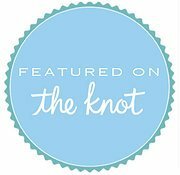 PRODUCT UPGRADES AND CHANGES Gulf Beach Weddings is constantly reviewing its product and service offerings to strive to provide its Customers with the best suite of options available. Gulf Beach Weddings retains the right to revise its product and/or service offerings, including the tools made available to you, at any time. Additionally, Gulf Beach Weddings reserves the right to add additional products and services. Purchase of a current product or service does not guarantee the exact setup – our Wedding Packages are constantly evolving in a positive manner to offer our clients more for less. You will not be charged for upgrades if we increase features (‘Amenities’) that differ from the original purchased package. GENERAL PAYMENT TERMS Customer may purchase products and/or services hereunder in a variety of ways including: (i) Self-Checkout; (ii) email sales quote; (iii) providing a credit card while on the phone with a Gulf Beach Weddings sale representative; or (iv) a signed order form. By completing the purchase transaction, Customer agrees to pay for the products and services provided by Gulf Beach Weddings with a valid credit card, cash, or check payment. UPGRADING PRODUCTS & SERVICES Customer may add or upgrade additional products and/or services at any time by contacting Gulf Beach Weddings or by accessing Customer’s self-service features on the Website. Upgrades to existing products and services will be deemed as a new contract with the pro-rated refund on the Wedding Package applied directly. The fees for new products and services will be based upon the then current, generally applicable fees. NONTRANSFERABILITY OF PRODUCTS & SERVICES The products and/or services purchased are valid only for the Customer, and in the category and region specified at the time of purchase and may not be transferred either to a different Customer or by the same customer to a different category or region. U.S. DOLLARS & U.S. TRADE REGULATIONS Customers will be billed in U.S. Dollars and subject to U.S. payment terms. In no event shall any transactions be in violation of U.S. trade regulations. There shall be no refunds for products and/or services provided by Gulf Beach Weddings. All amounts required to be paid hereunder do not include any amount for taxes or levy (including interest and penalties). Customer shall pay all sales, use, VAT, excise, property or other taxes or levies which Gulf Beach Weddings is required to collect or remit to applicable tax authorities. INCORRECT BILLING If Customer believes Gulf Beach Weddings has billed incorrectly, Customer must contact Gulf Beach Weddings by email to [email protected] no later than thirty (30) days after the Billing Date in which the error or problem appeared. ENTIRE AGREEMENT This Agreement, including any documents incorporated by reference, shall constitute the entire agreement between the parties regarding the subject matter hereof and supersede all proposals and prior discussions and writings between the parties with respect thereto. TERMINATION Customers purchasing a new Wedding Package recognize that the initial deposit amount is non-refundable. This money is spent on behalf of the client for the following (if applicable): Officiate, Setup Crew, Permit Reservation, Photography, Videography, Live Musician and other vendors booked on behalf of the client. In special cases, we can rebook these vendors and apply a portion of the money back to the couple cancelling. This is handled on a case by base basis. GOVERNING LAW This Agreement is governed by the laws of the State of Florida (“Governing Law”), without regard to principles of conflict of laws of any state or jurisdiction. Customer hereby agrees that the courts located in Florida (“Place of Jurisdiction”) shall have exclusive jurisdiction over any dispute arising hereunder. LIMITED LIABILITY IN NO EVENT SHALL GULF BEACH WEDDINGS, OUR EMPLOYEES, OR OUR SUPPLIERS BE LIABLE TO CUSTOMER OR ANYONE ELSE FOR DIRECT, INDIRECT DAMAGES, LOST PROFITS, ANY SPECIAL, INCIDENTAL OR CONSEQUENTIAL DAMAGES, OR DAMAGES OF ANY KIND WHATSOEVER ARISING OUT OF OR RELATING TO THE USE OF OR INABILITY TO USE THE SITE. REPRESENTATION AND WARRANTY Customer represents and warrants that: (1) it has authority to enter into this Agreement; (2) entering into this Agreement does not violate any other rights, obligations, regulations or laws; (3) it has obtained all necessary rights for any content that it provides to Gulf Beach Weddings use of such content will not be defamatory or harassing or violate any third party rights, including rights of publicity, privacy, and intellectual property rights, or violate any law or regulation. INDEMNITY Customer agrees to indemnify and hold Gulf Beach Weddings and our affiliates, officers, directors, agents, and employees harmless from any claim or demand, including reasonable attorneys’ fees, made by any third party due to or arising in any manner in whole or in part out of Customer’s use of the Site, or its violations of its representations, warranties or obligations under the Agreement. CONTACT INFO For all questions related to billing, please contact Gulf Beach Weddings at [email protected] or by contacting us at 1-727-475-2272.